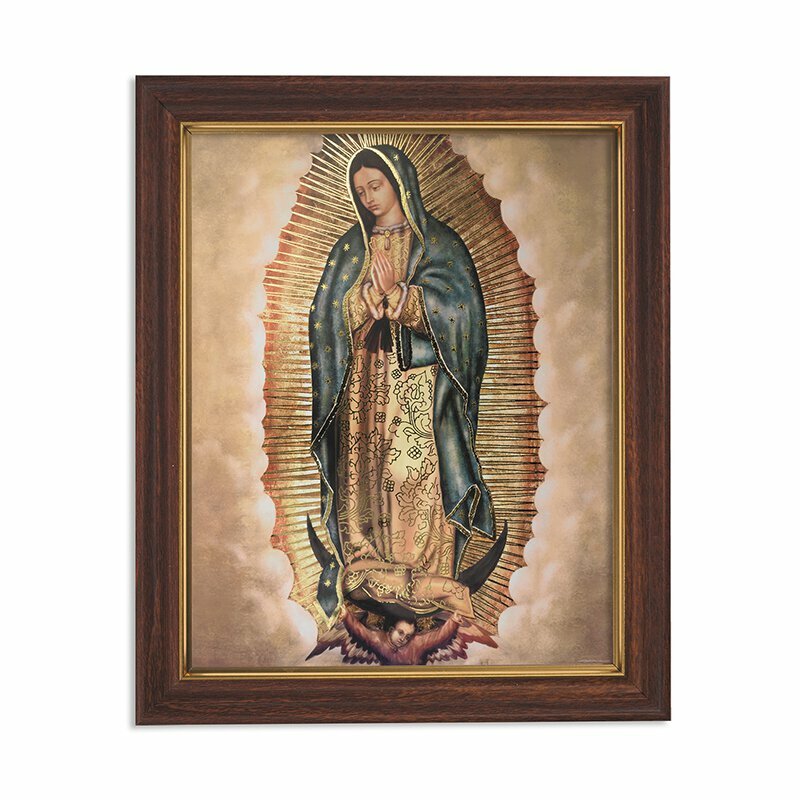 Christian Brands offers a wide variety of traditional and contemporary prints in the Gerffert collection that are popular in the Hispanic market. Select a frame, either gold finish or wood tone, and add any one of these popular prints to create meaningful framed wall art. Print Under Glass Includes Easel Back and Metal Hangers for Wall Mounting. Boxed.